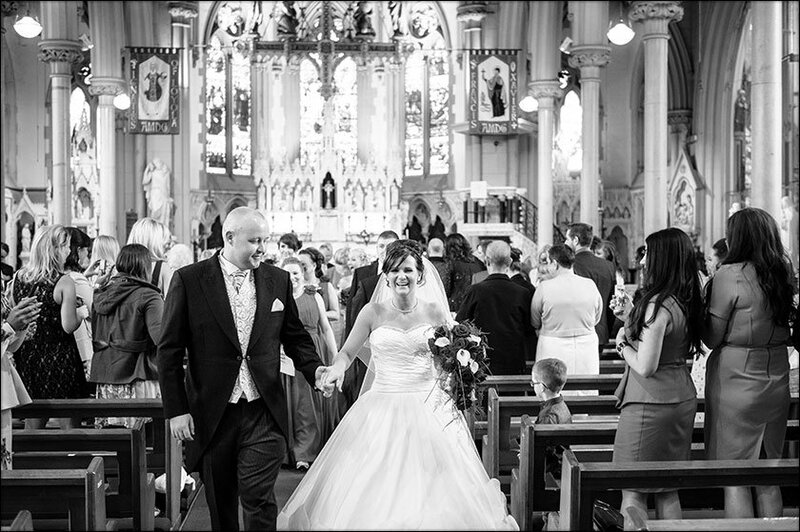 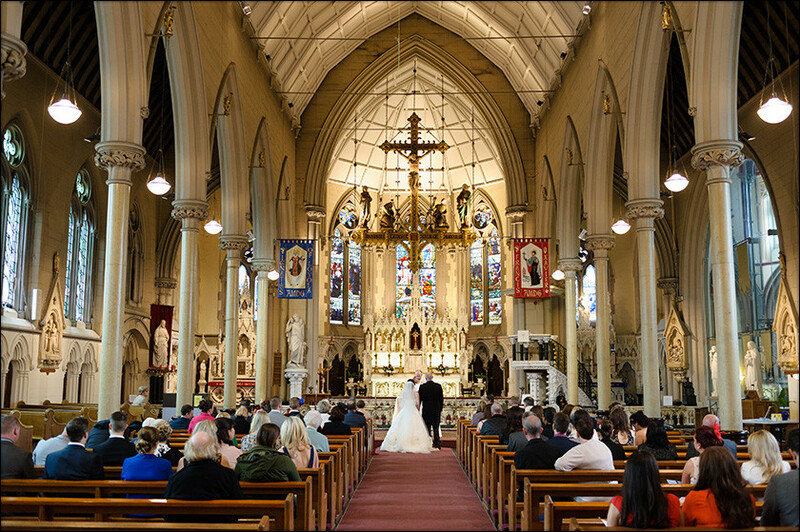 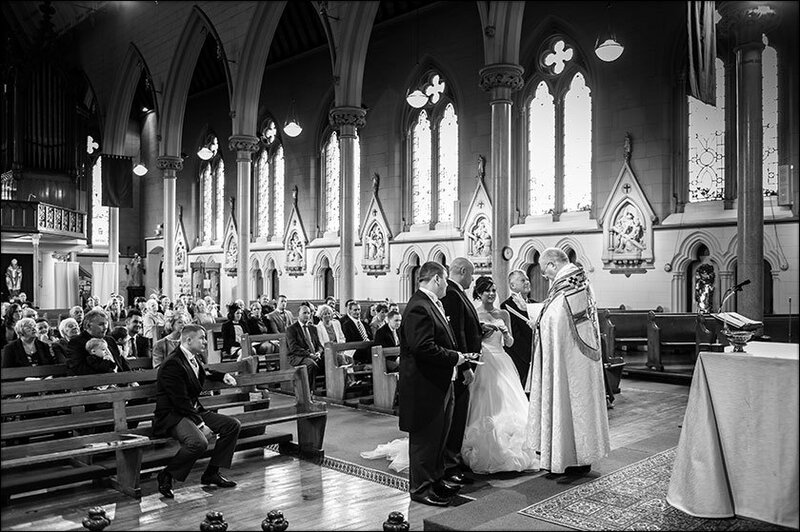 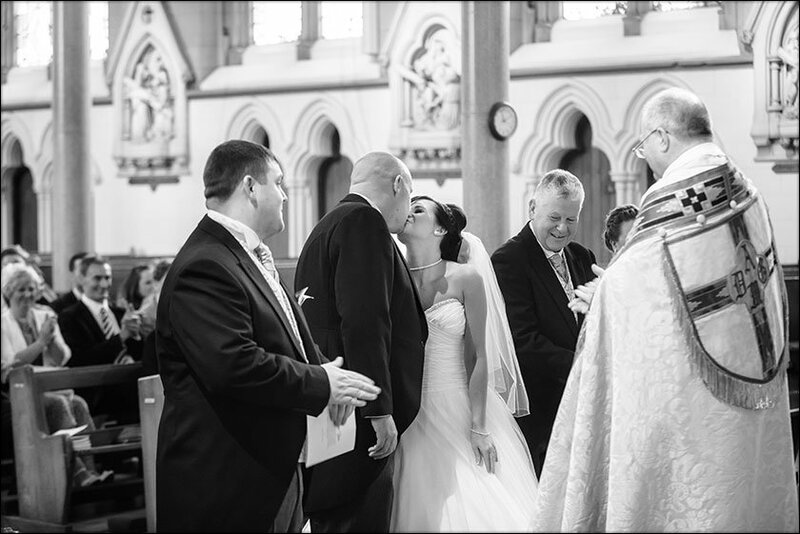 Clare and Davids wedding at St Francis Xaviers in Liverpool was a fantastic day to photograph. 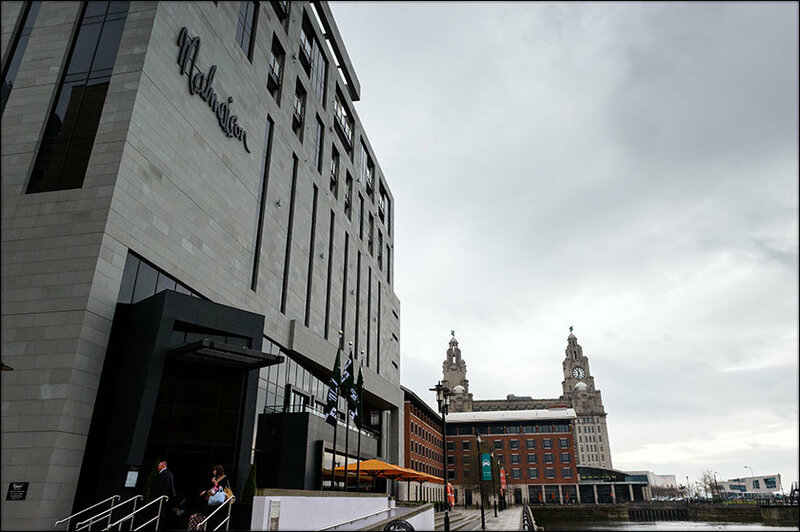 Their wedding saw my return to a venue I seem to be at quite a lot these days the Malmaison, Liverpool. 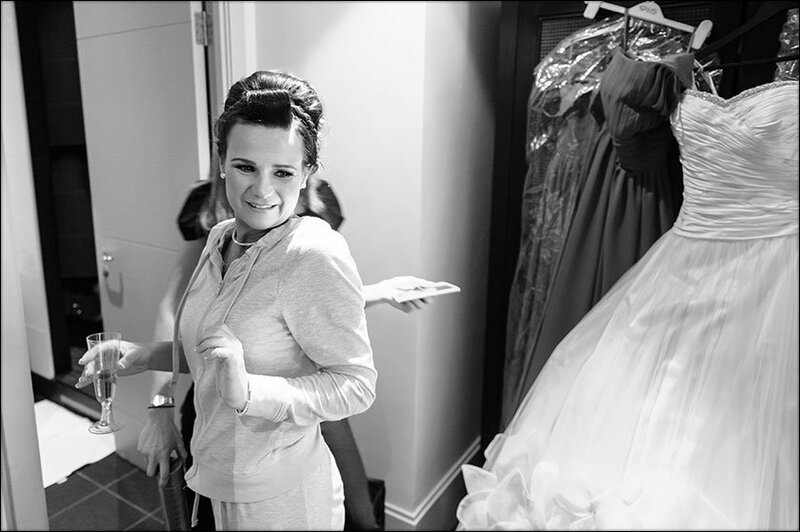 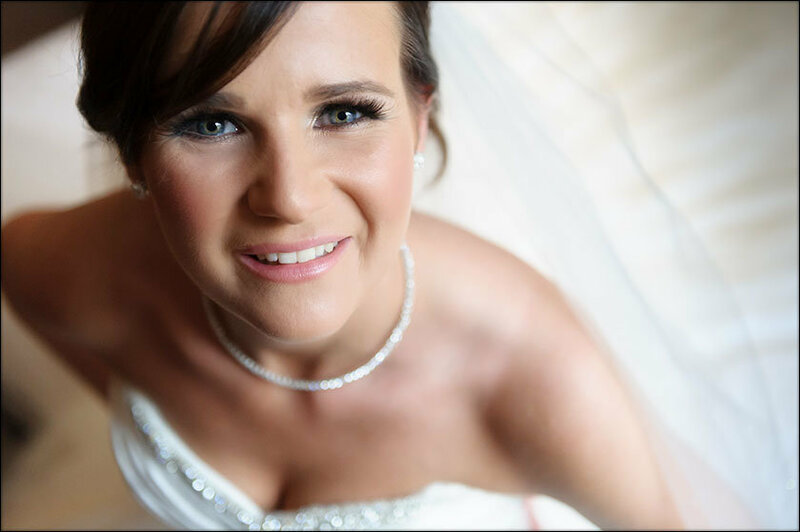 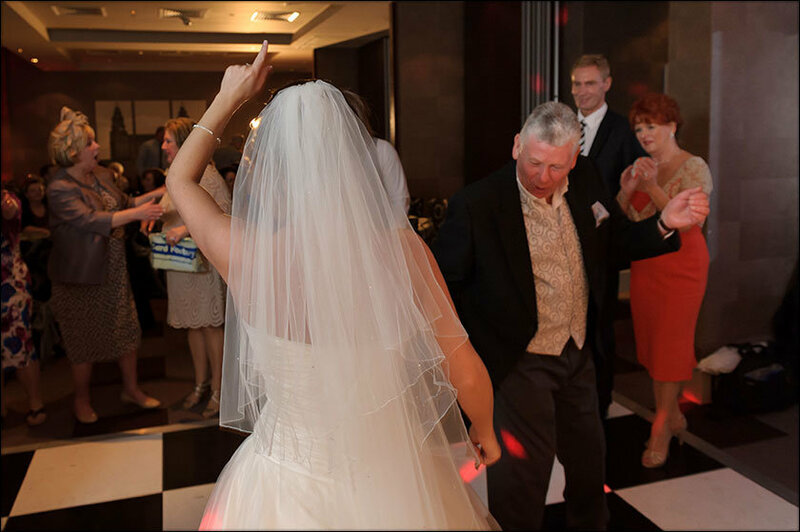 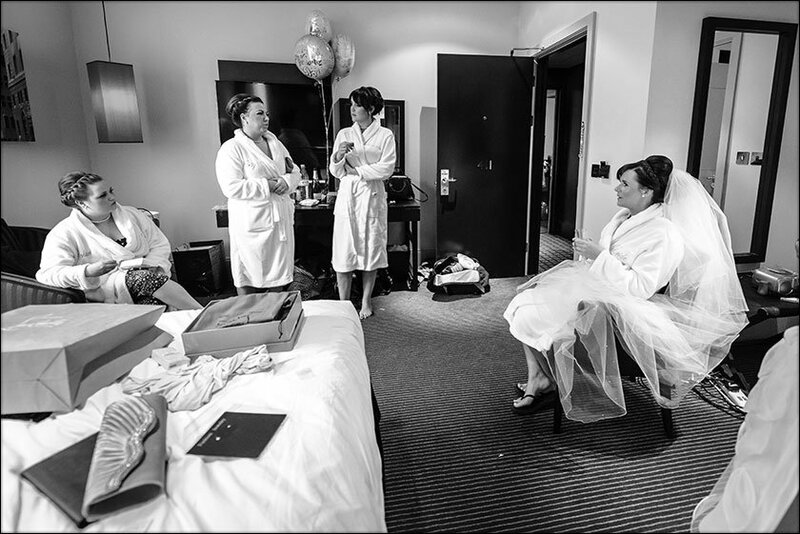 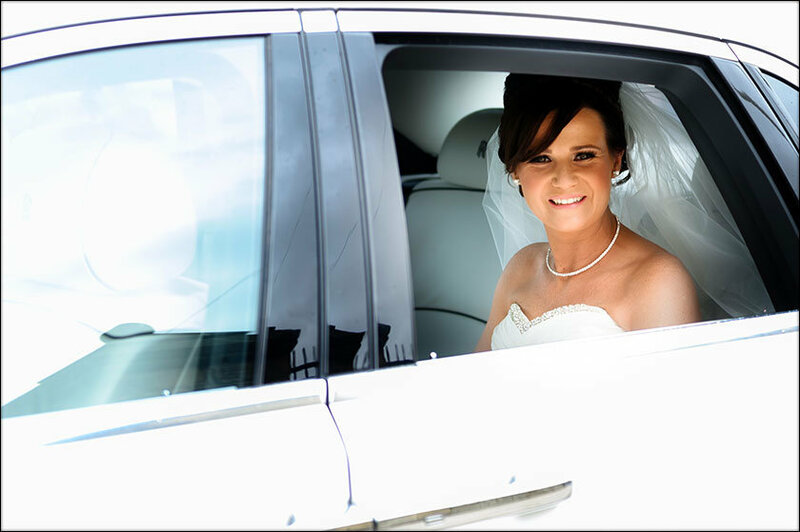 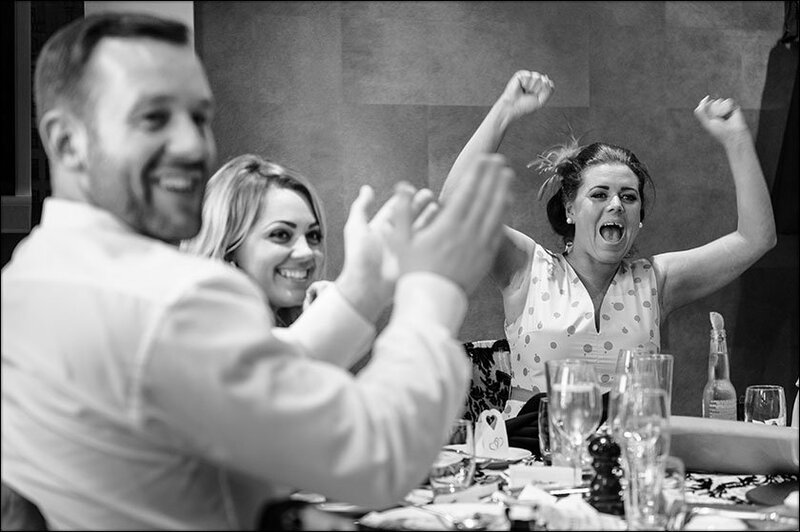 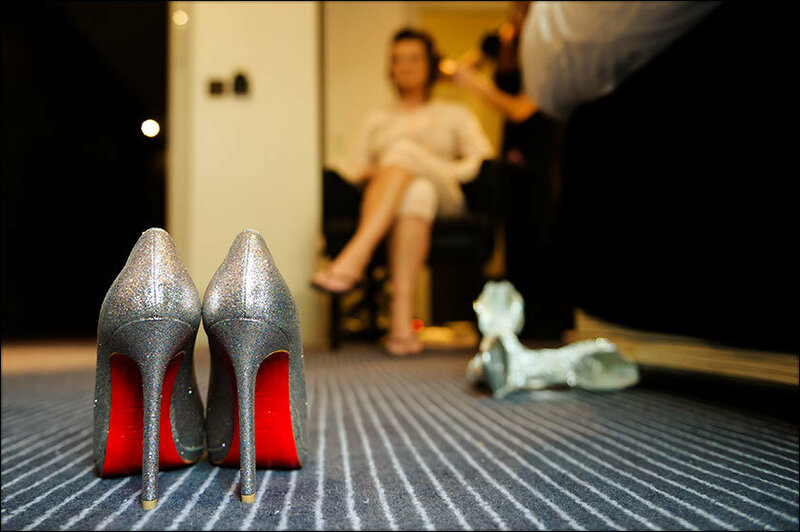 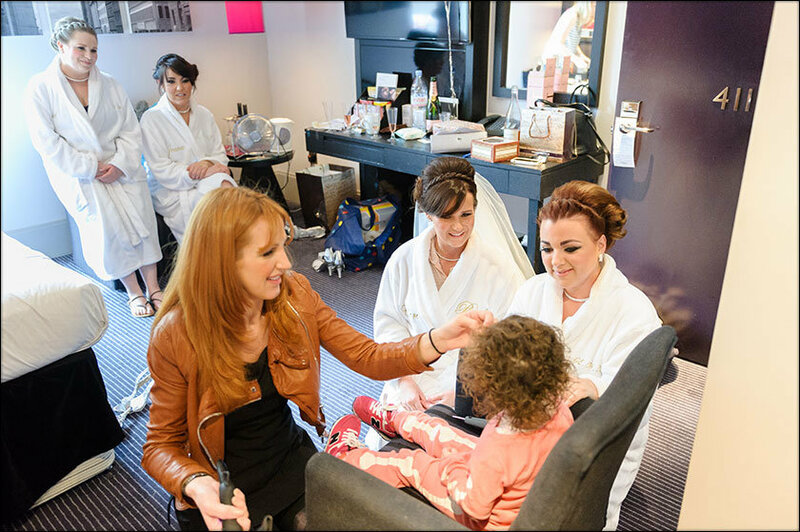 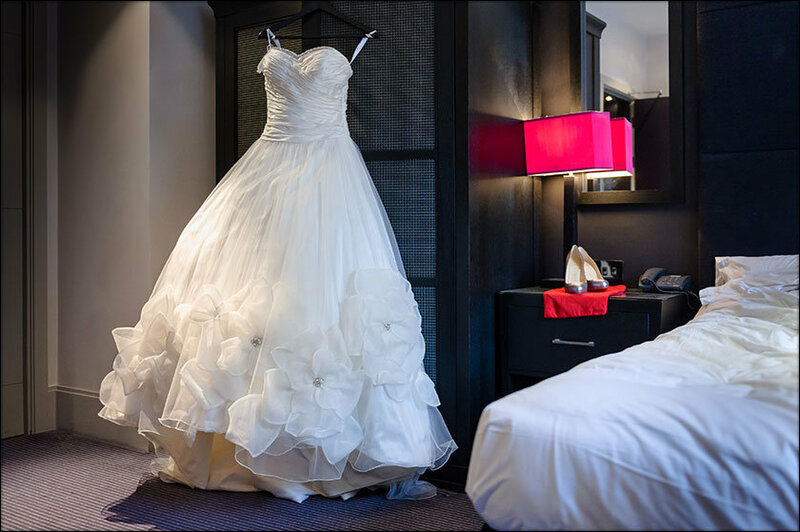 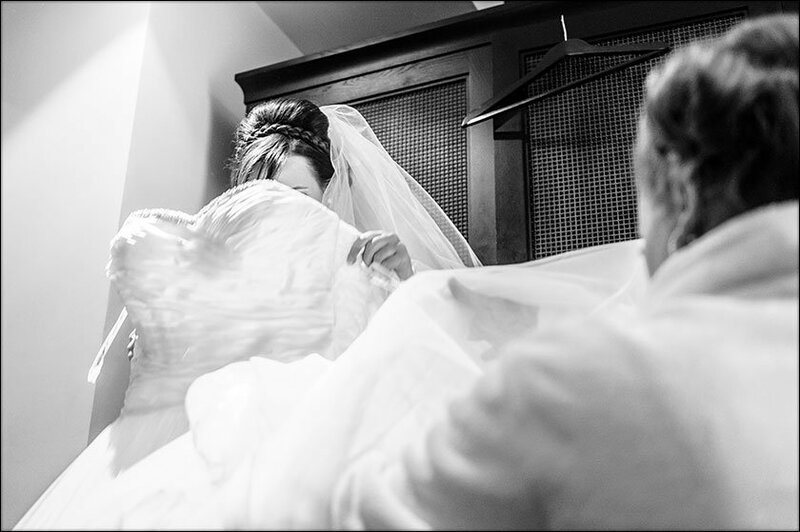 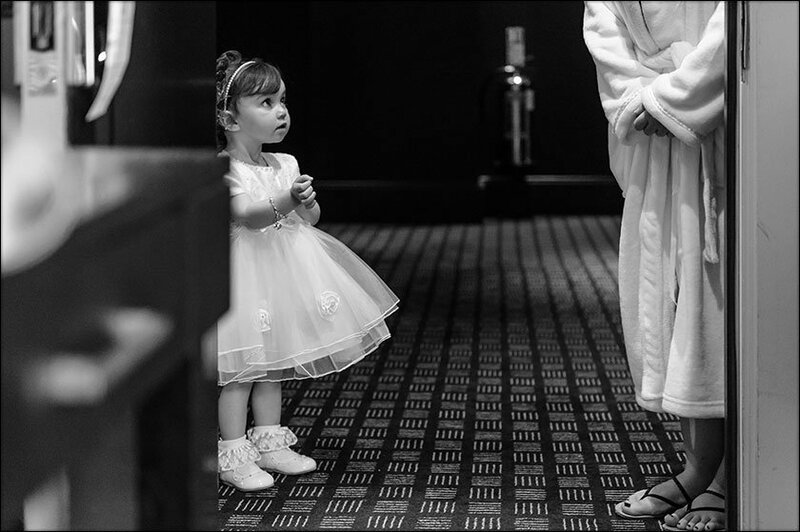 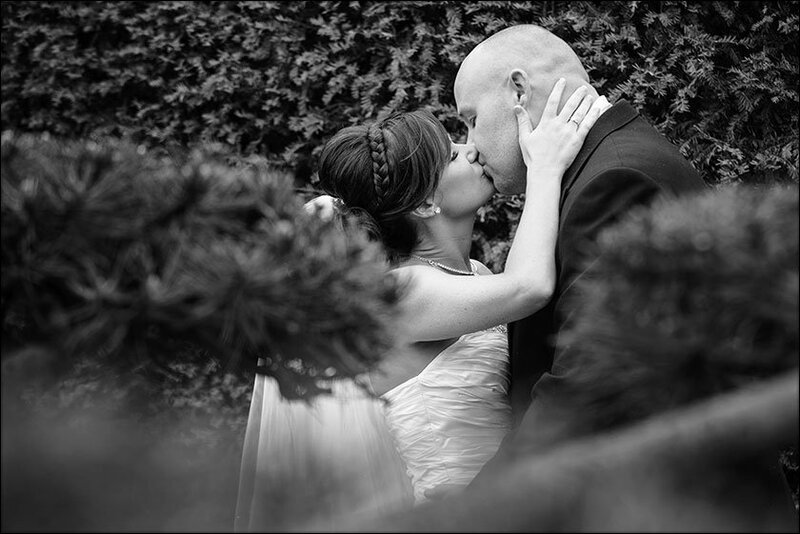 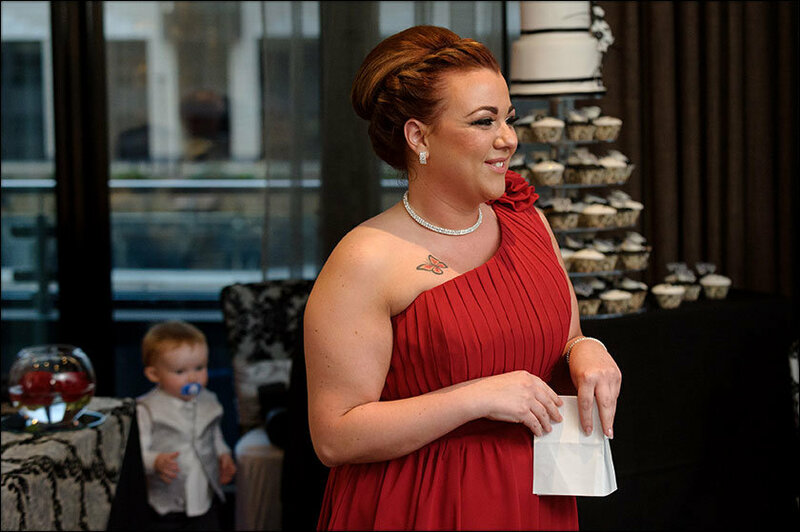 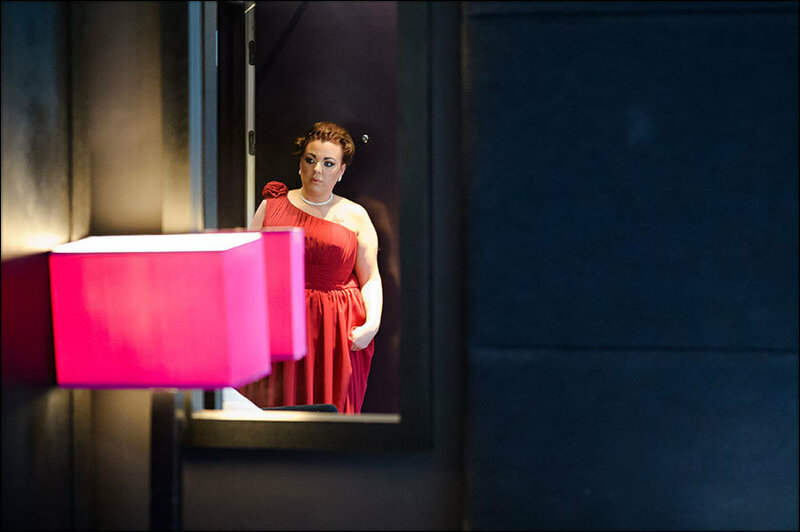 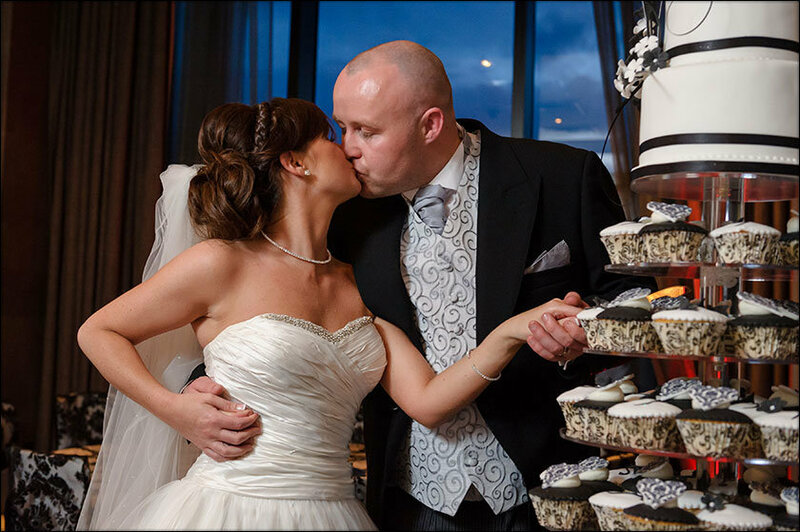 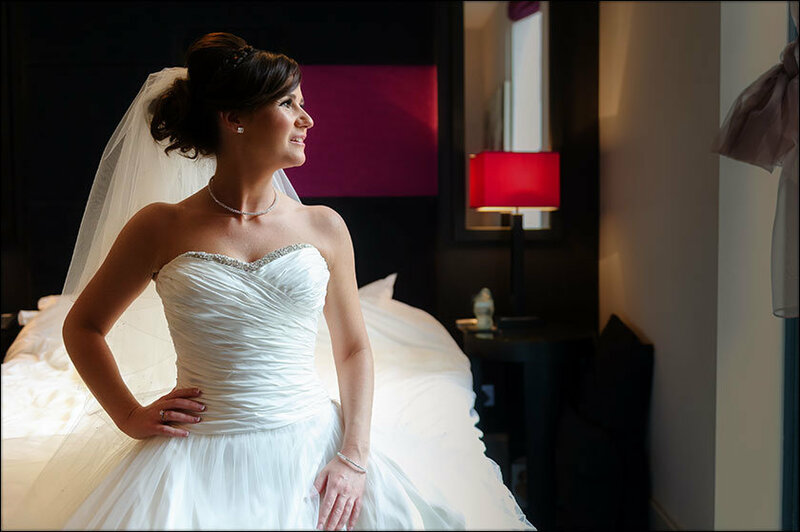 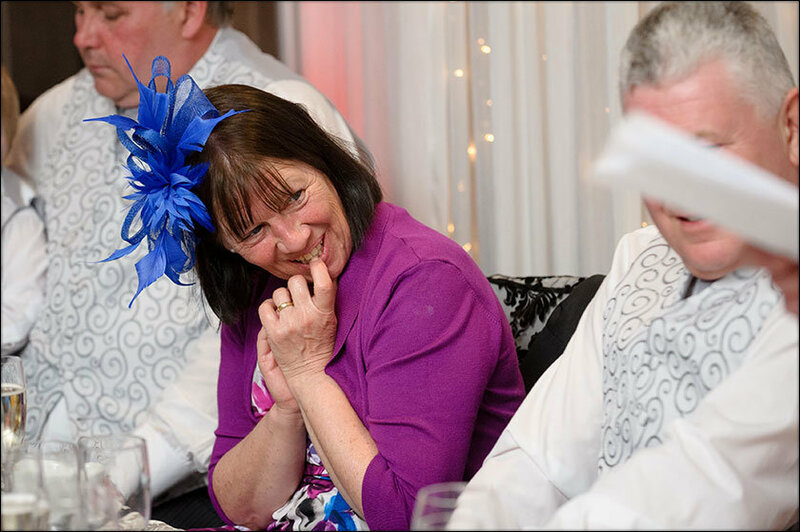 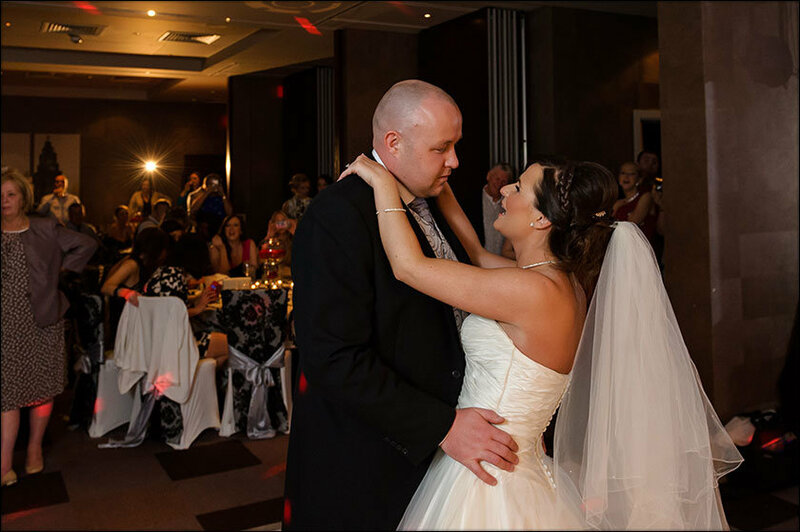 Clare’s bridal preparations were in the Malmaison. 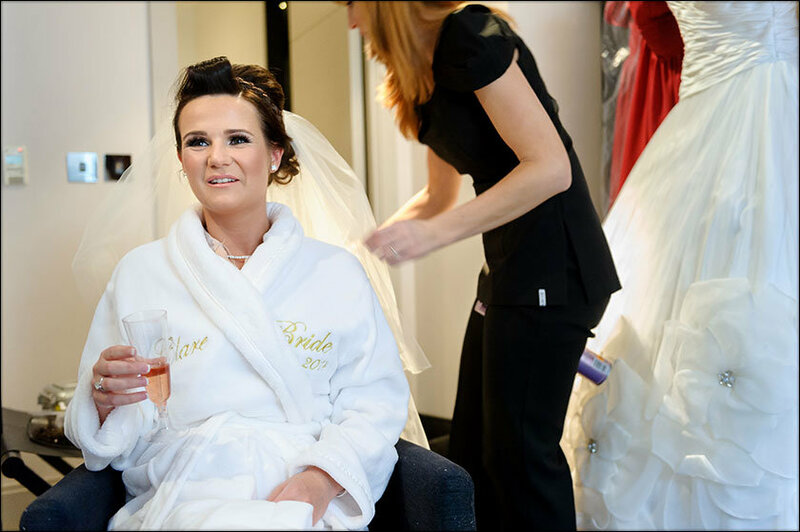 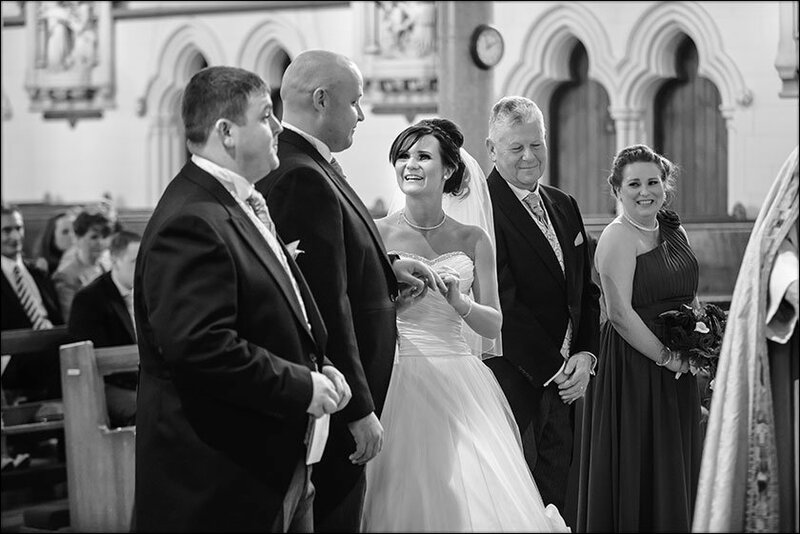 Clare was a fun and lively bride complete with gorgeous Christian Louboutin shoes and stunning Ian Stuart wedding dress. 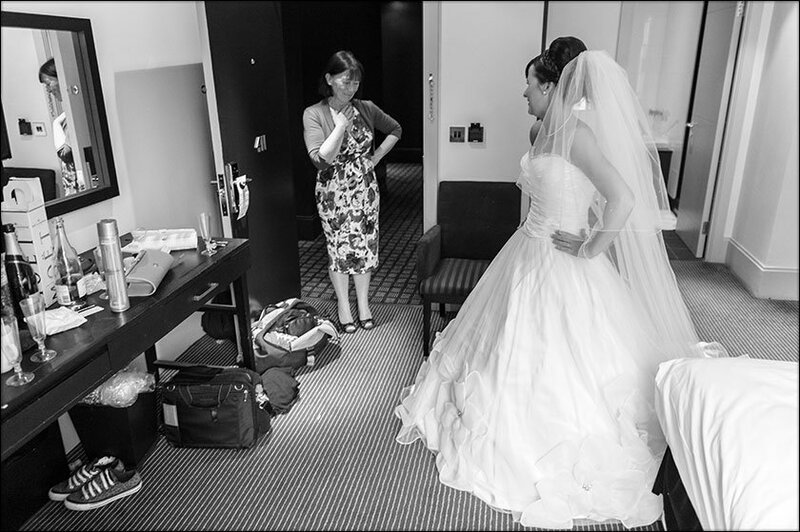 Once Clare was in her dress I took a few bridal portraits before heading off to church to find David and their guests. 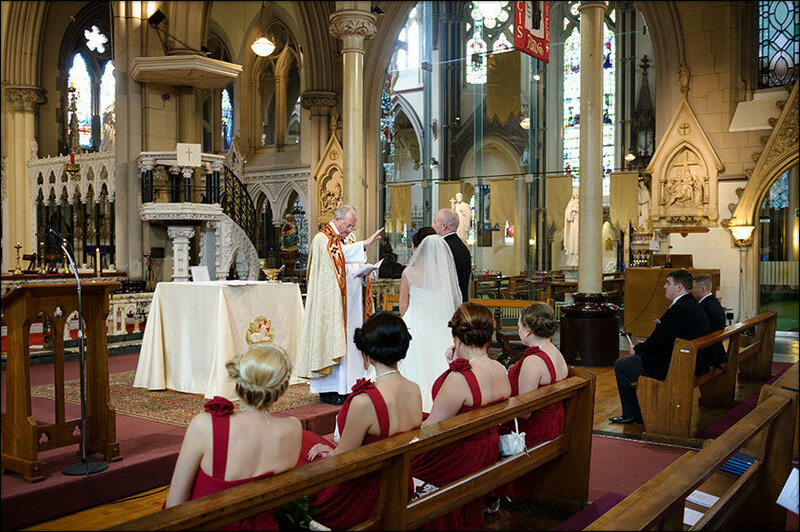 This was my first time at St Francis Xaviers Liverpool a beautiful English Heritage as a Grade II listed building. 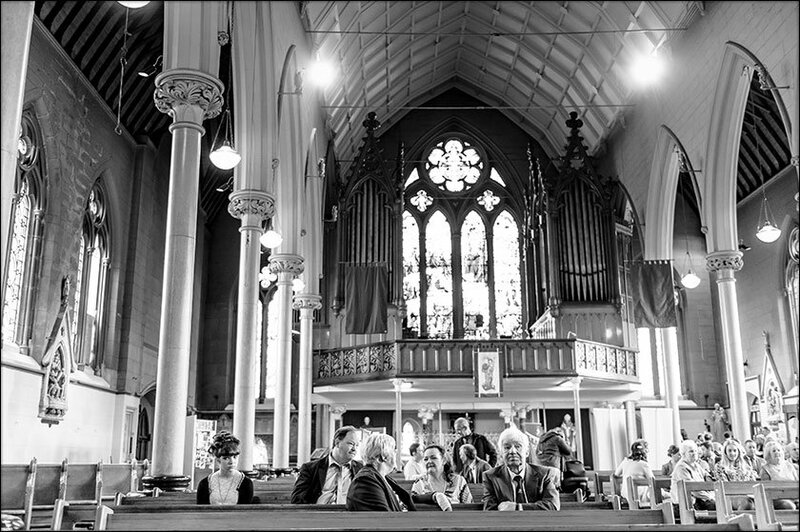 This is a friendly church with a great attitude towards photographers. 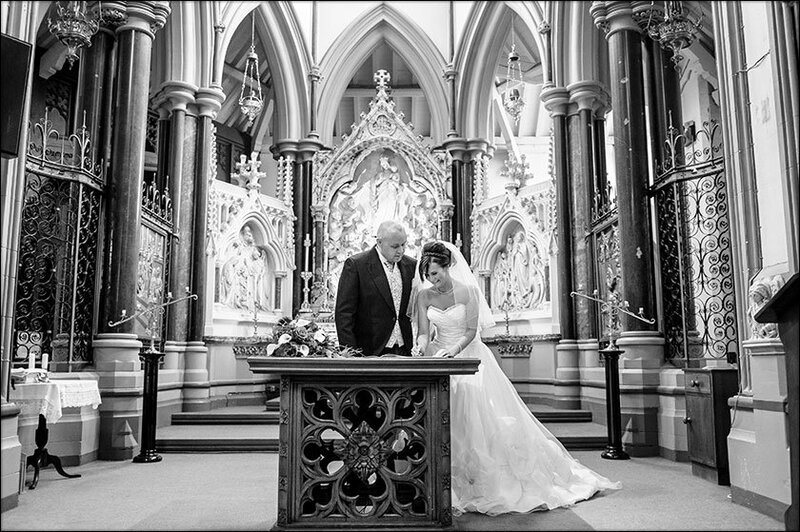 Clare and David had a lovely, relaxed service at Saint Francis’s. 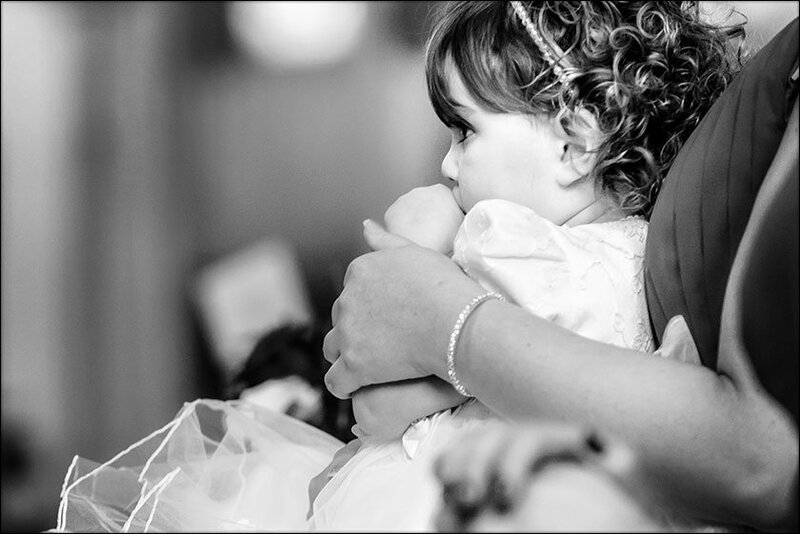 It was great to be allowed to photograph unhindered. 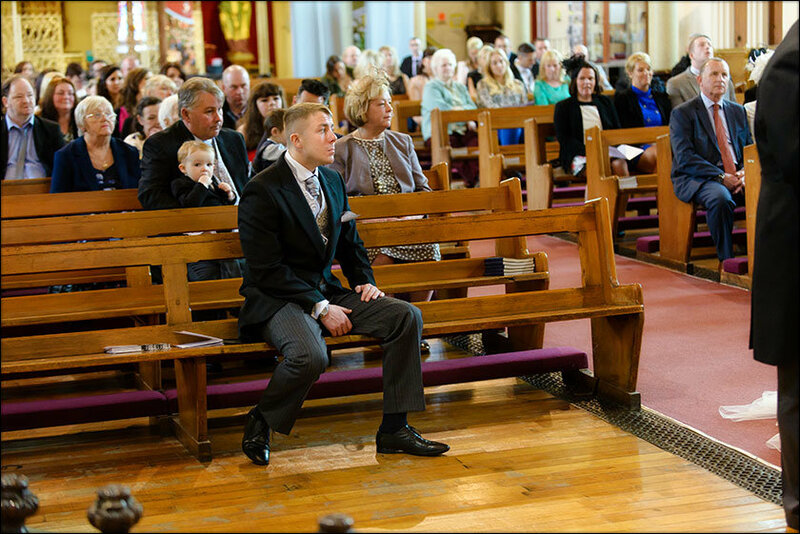 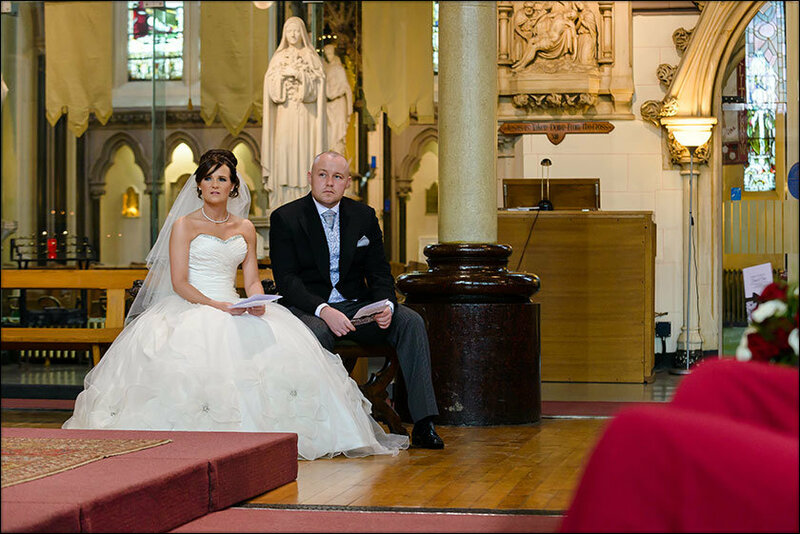 I always strive to get the best possible ceremony coverage whilst remaining unobtrusive. 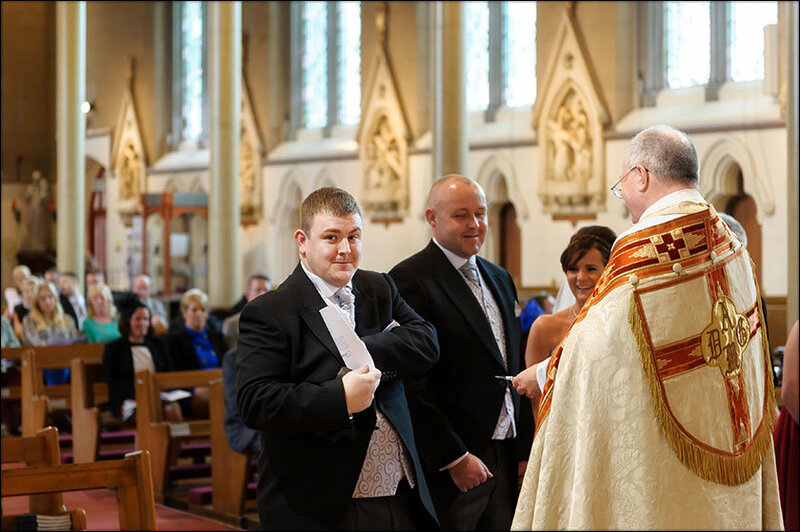 I was delighted to be thanked after the service for my discreet working method. 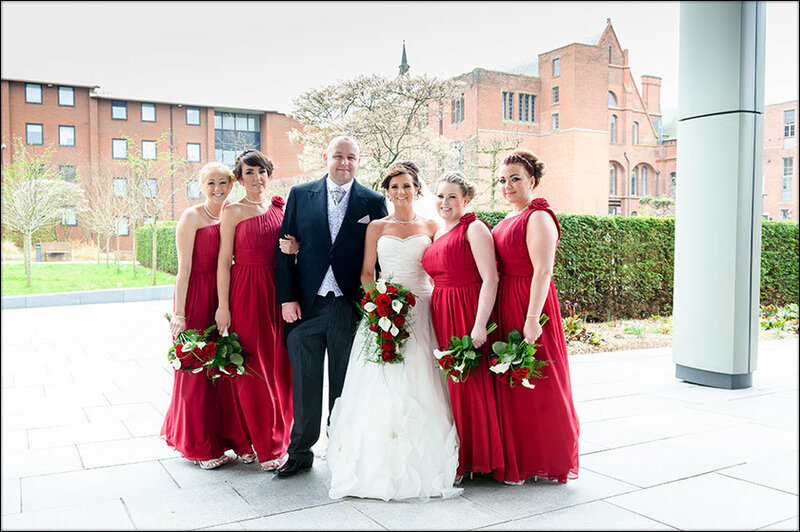 After the service we were allowed into the neighbouring college grounds to take photographs. 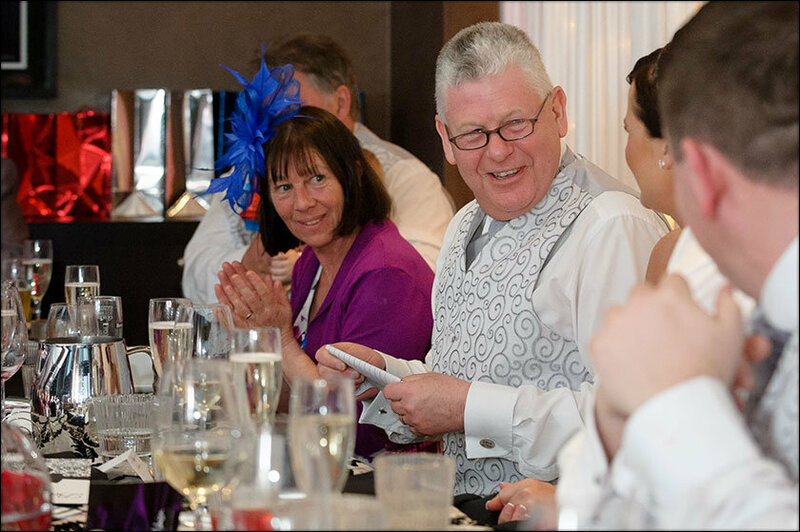 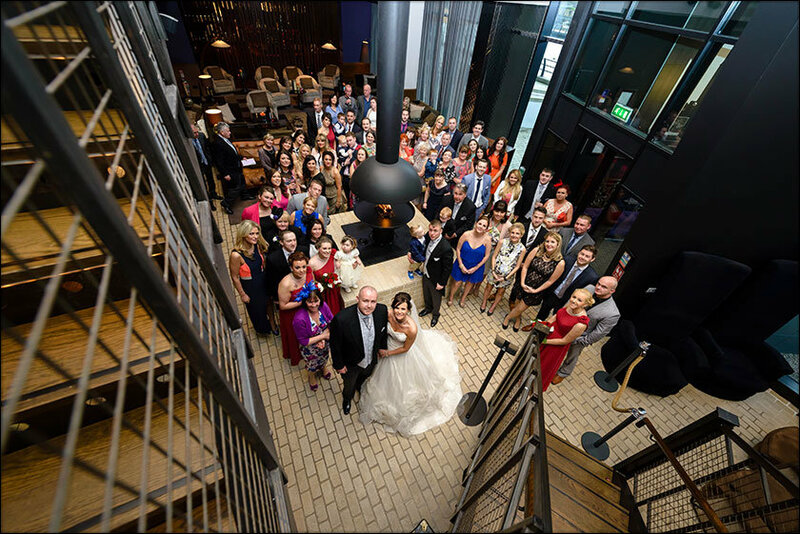 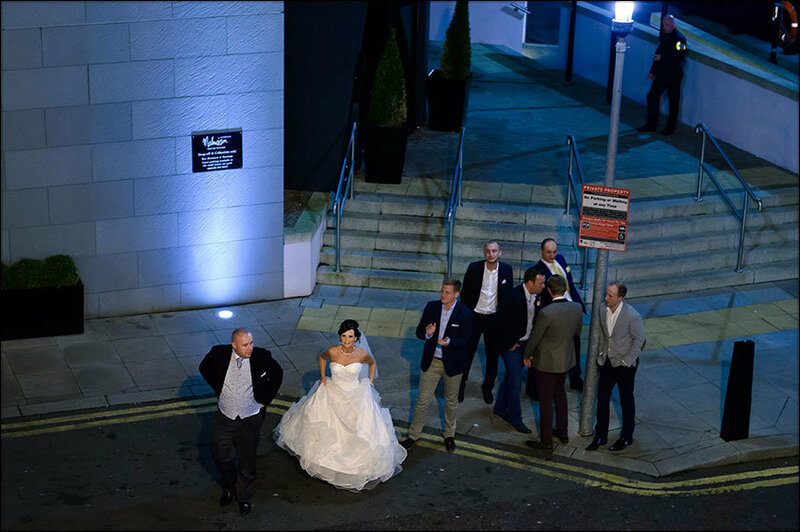 Then it was all back to the Malmaison for the wedding breakfast and party. 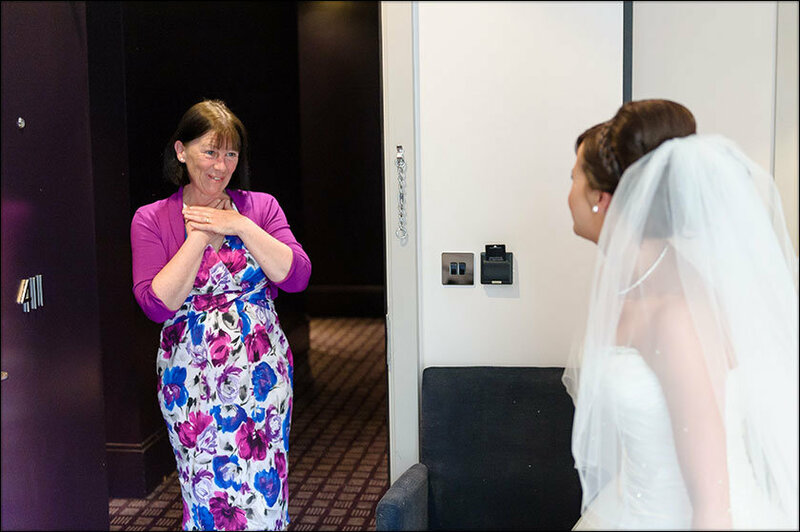 Because I’ve shot here so many times now I have a great relationship with the staff. 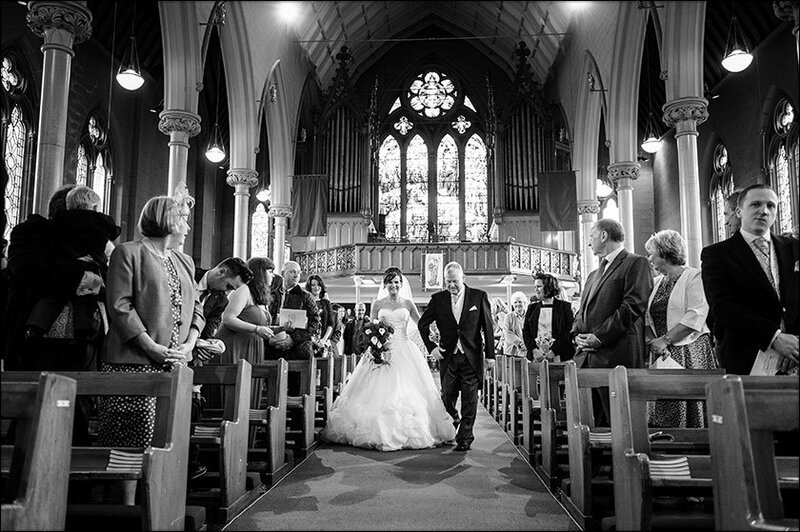 They always run things so smoothly it’s brilliant to shoot here. 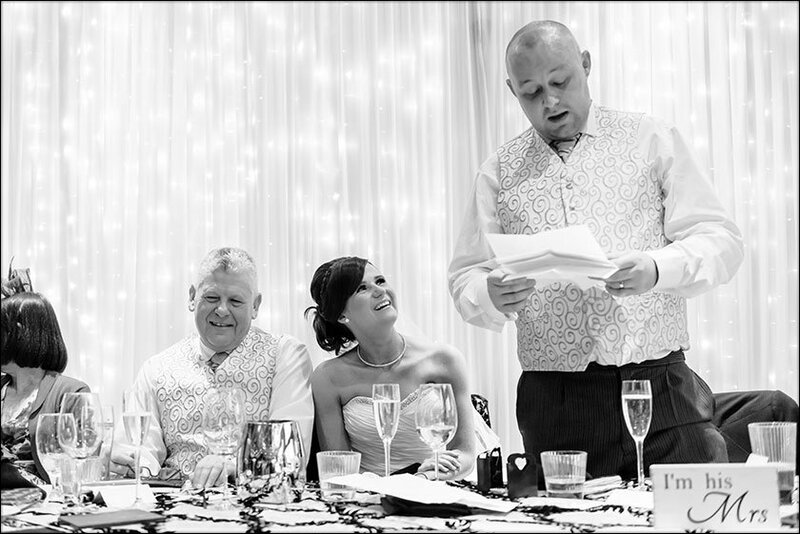 After the wedding breakfast, it was time for 3 brief speeches before really kicking off the party. 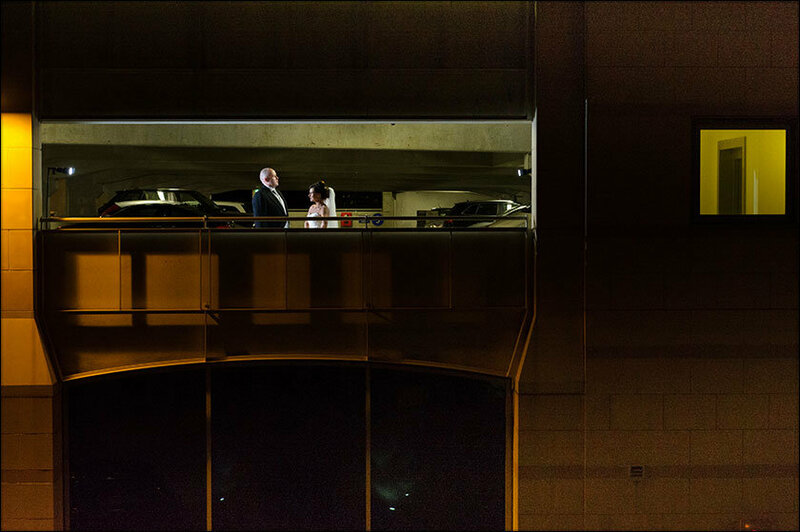 Claire and David wanted an extended evening photo shoot. 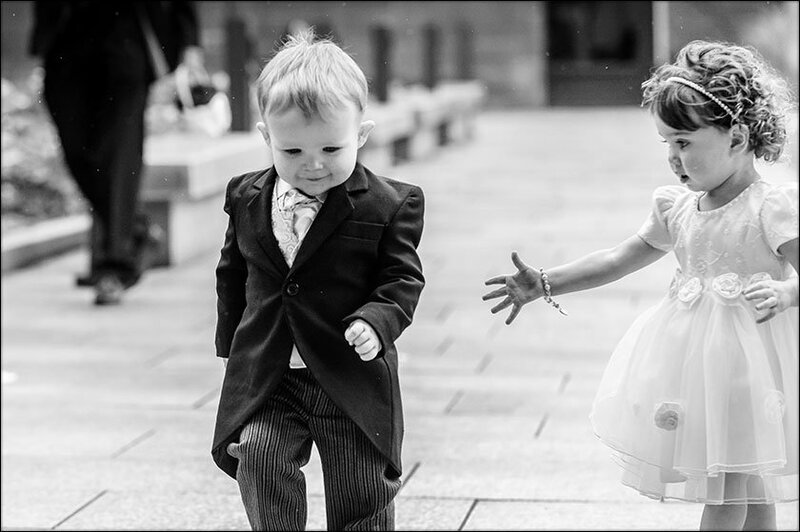 So after their first dance, we headed out to take some stunning evening pictures. 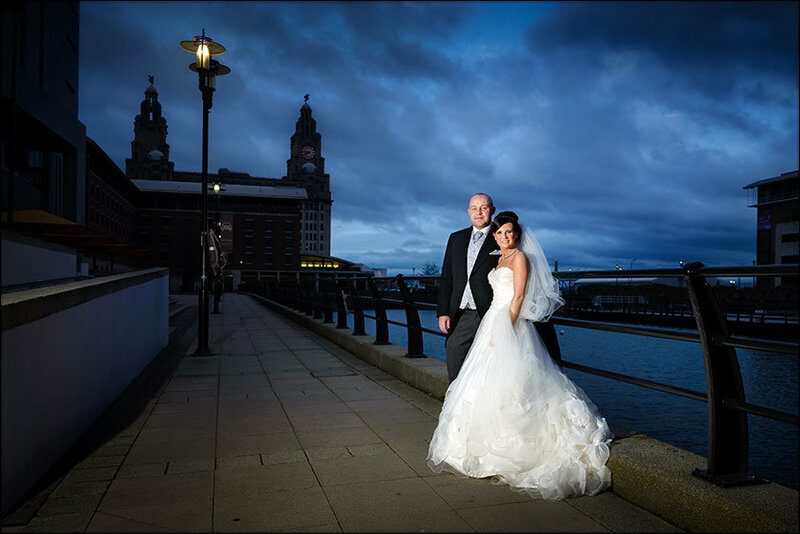 Time for a few cool evening shots with the Liver building in the background. 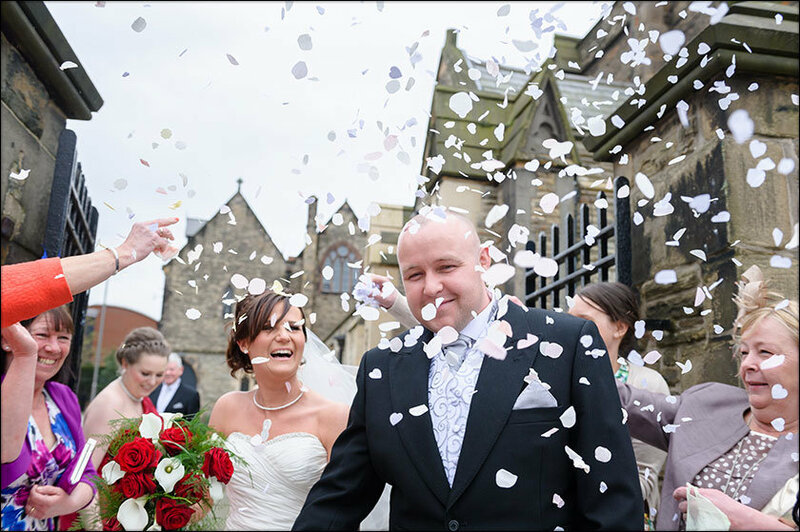 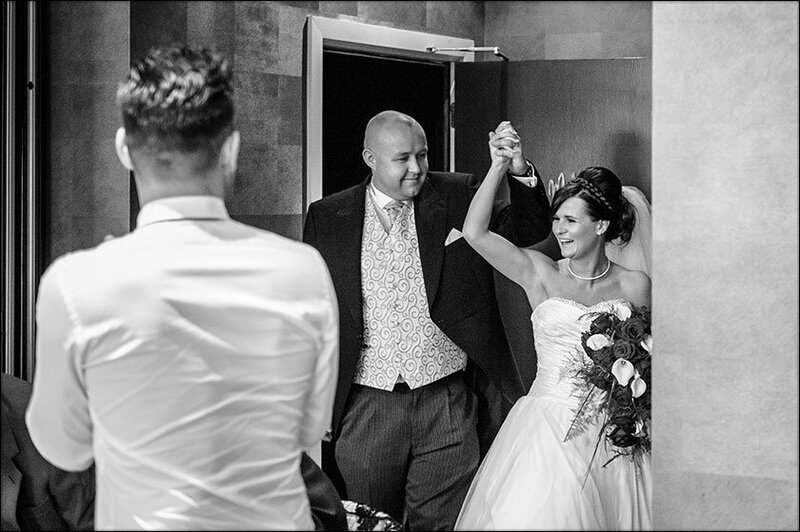 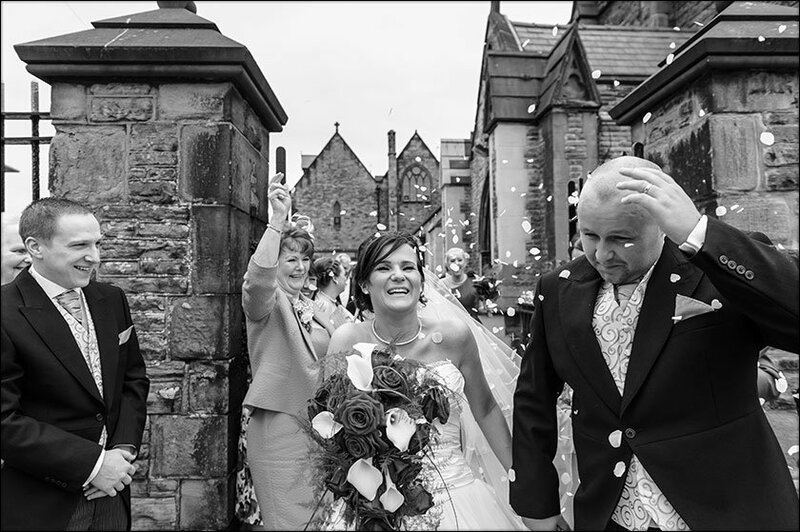 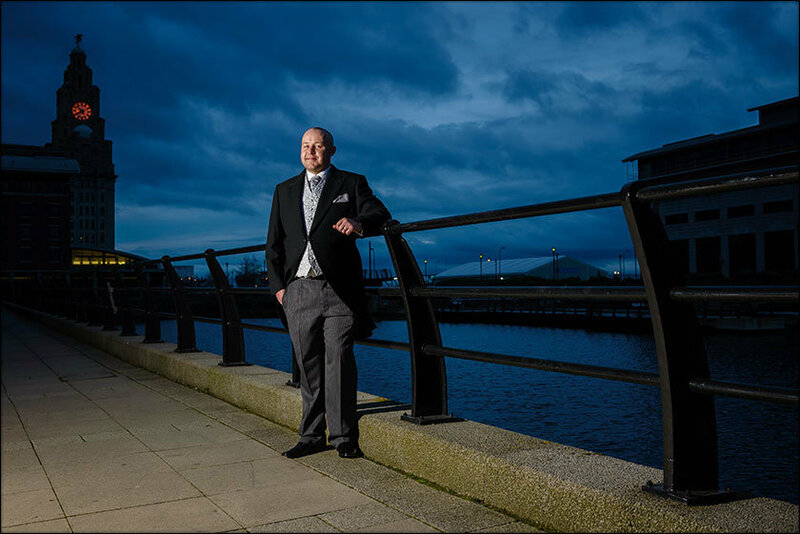 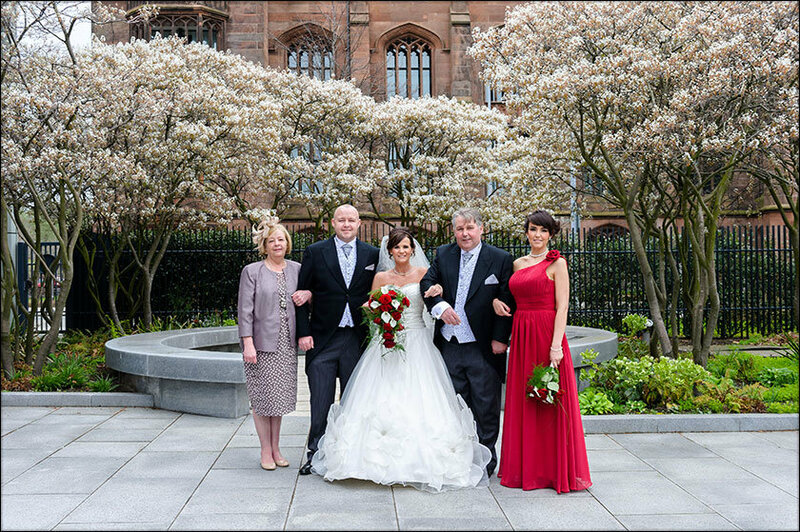 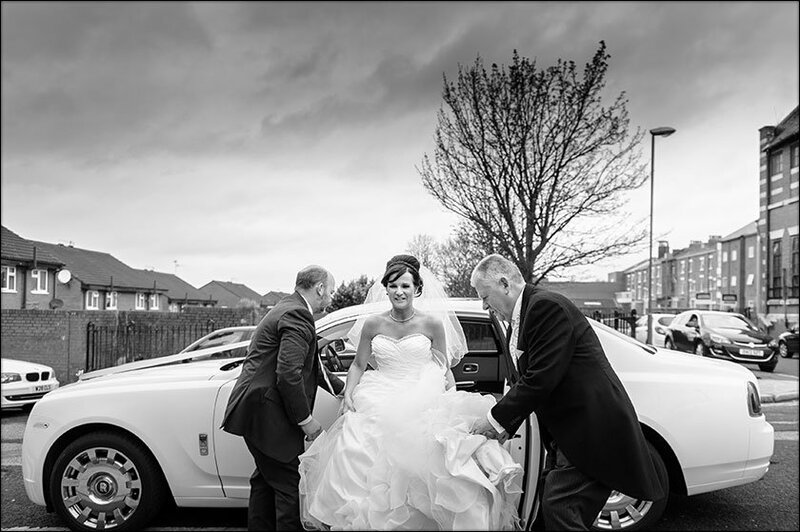 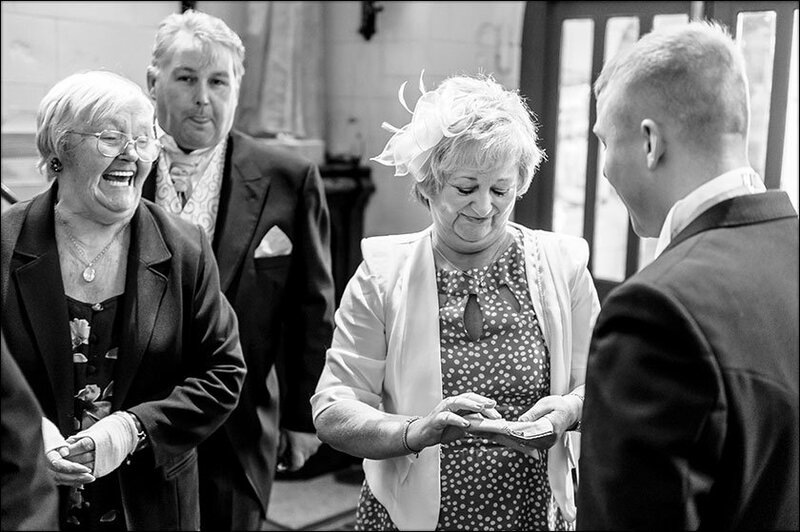 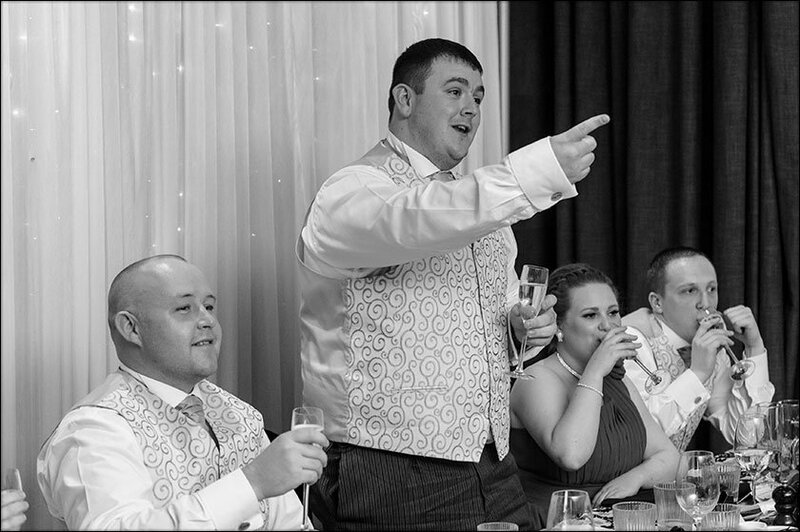 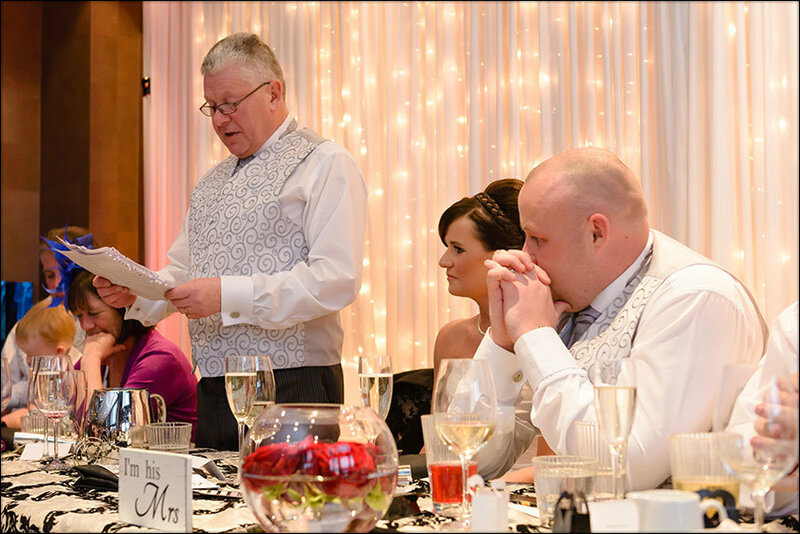 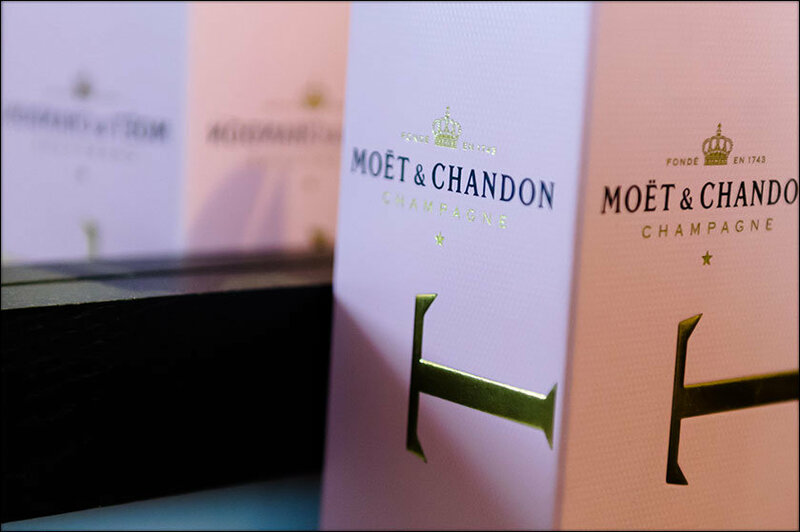 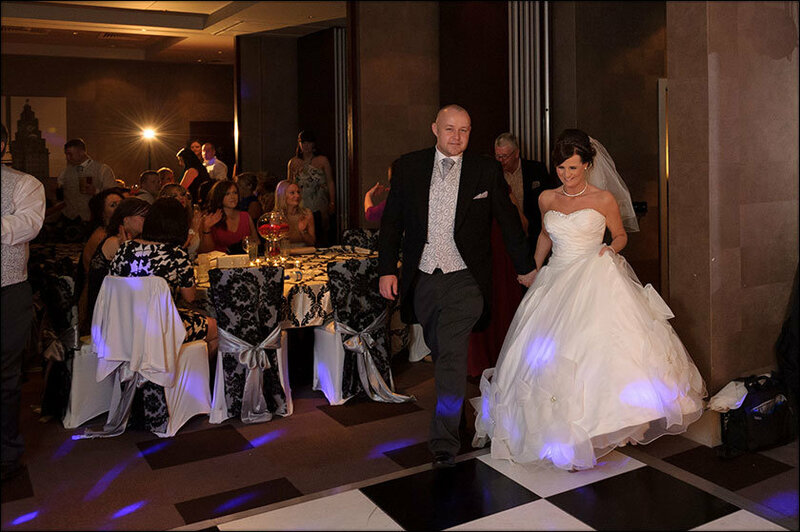 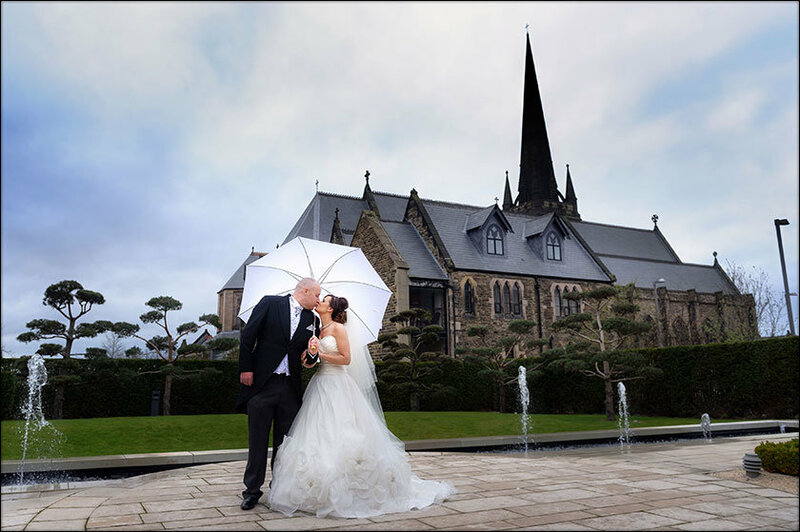 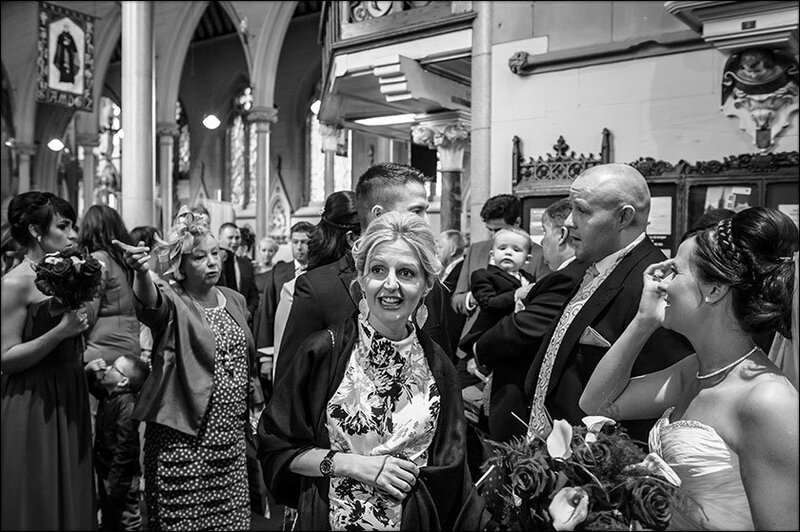 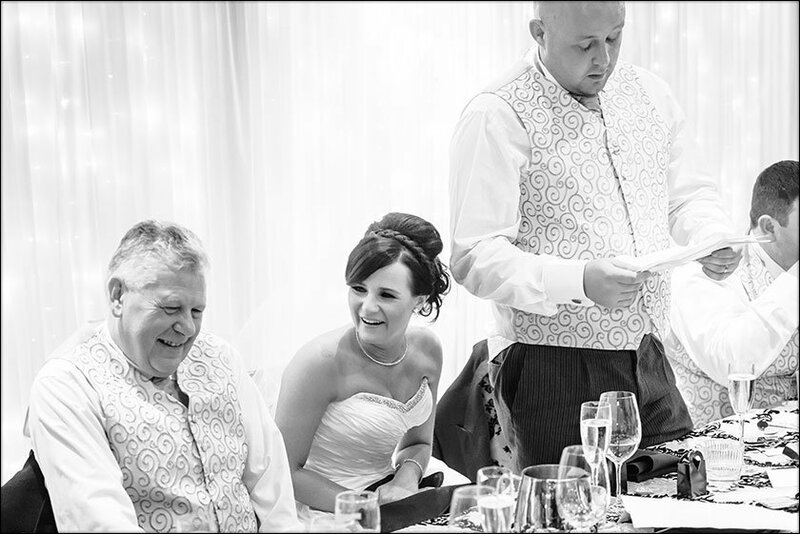 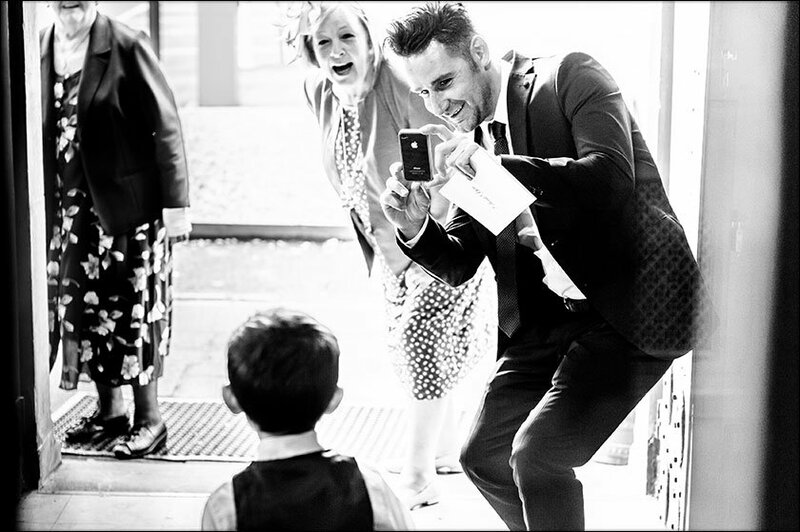 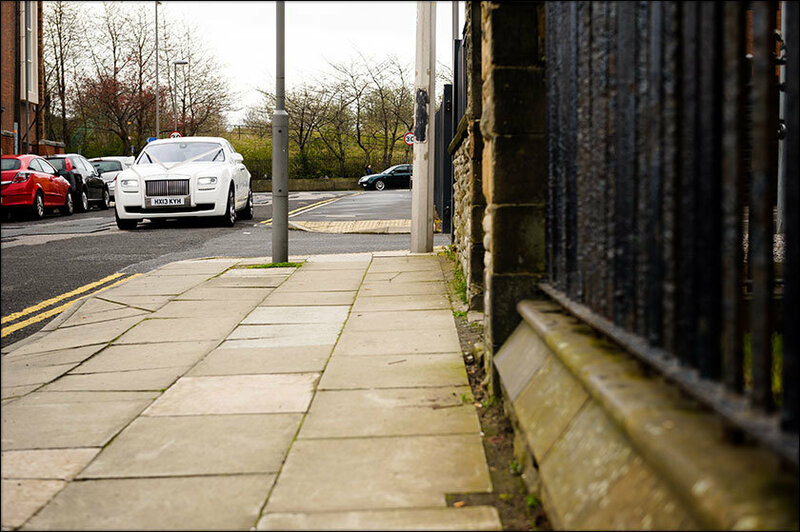 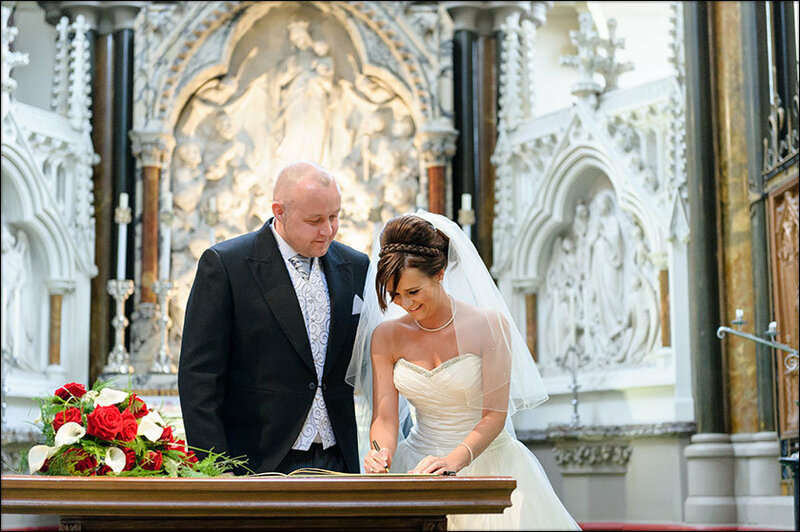 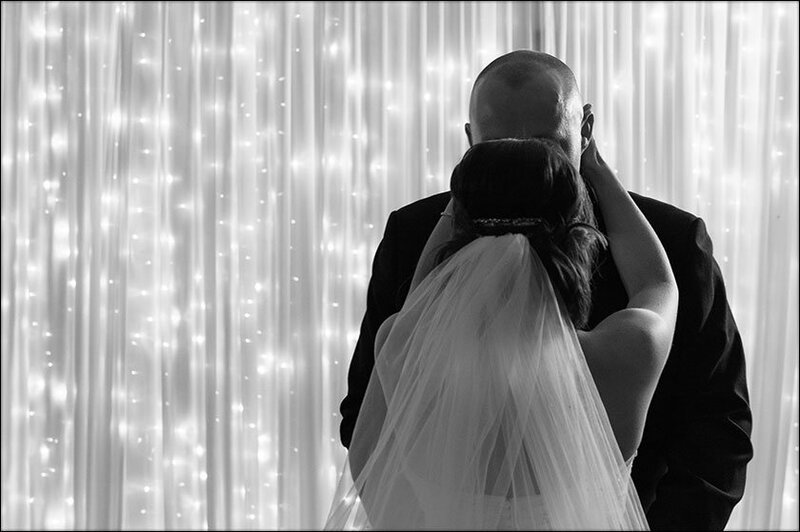 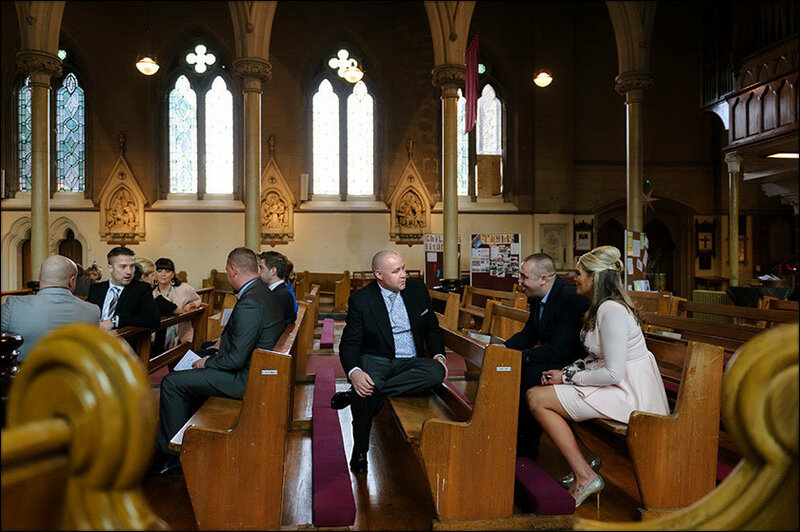 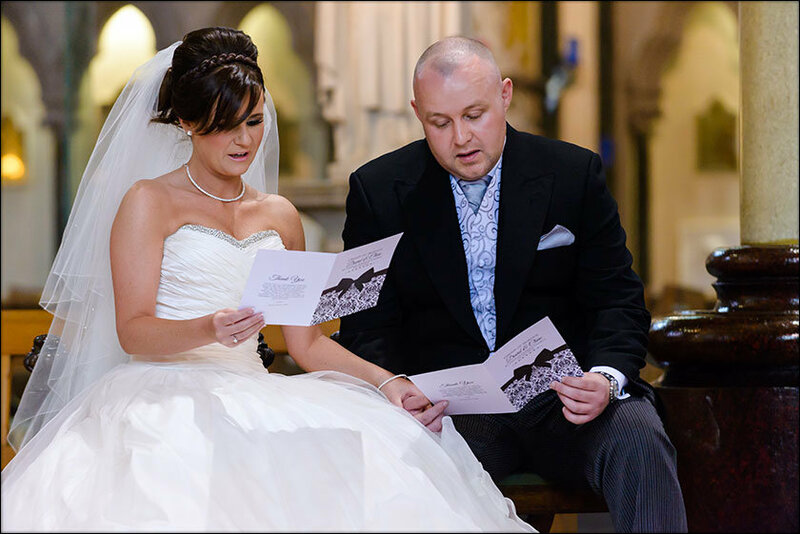 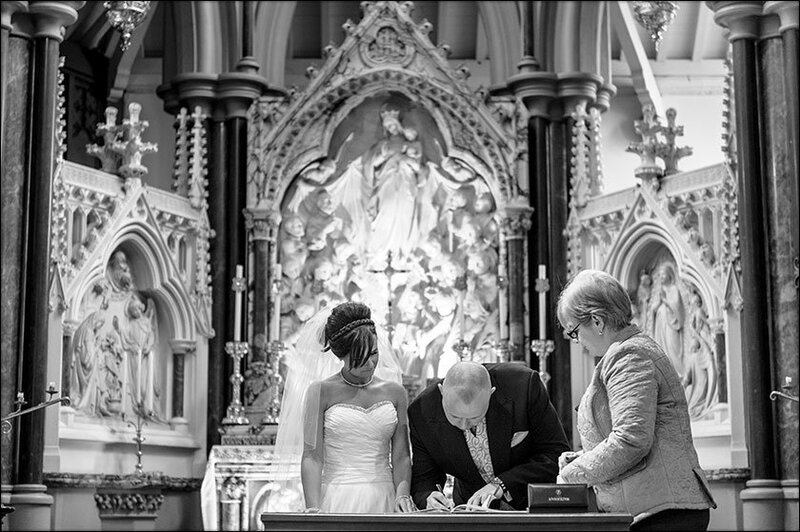 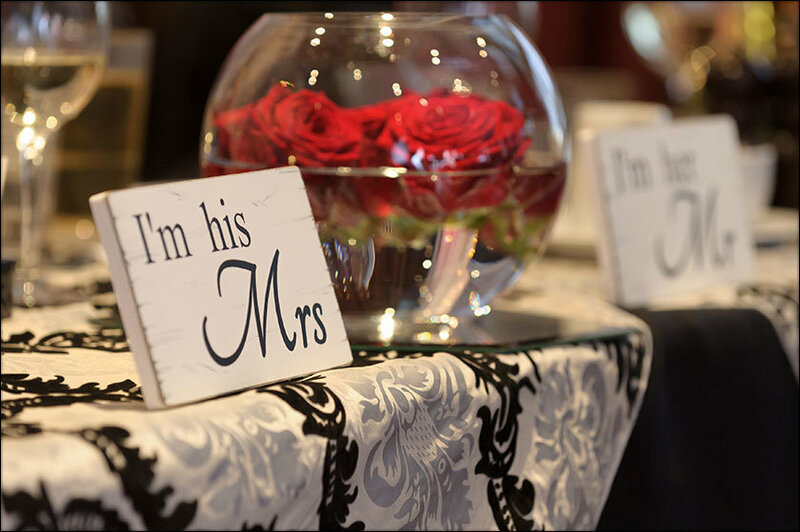 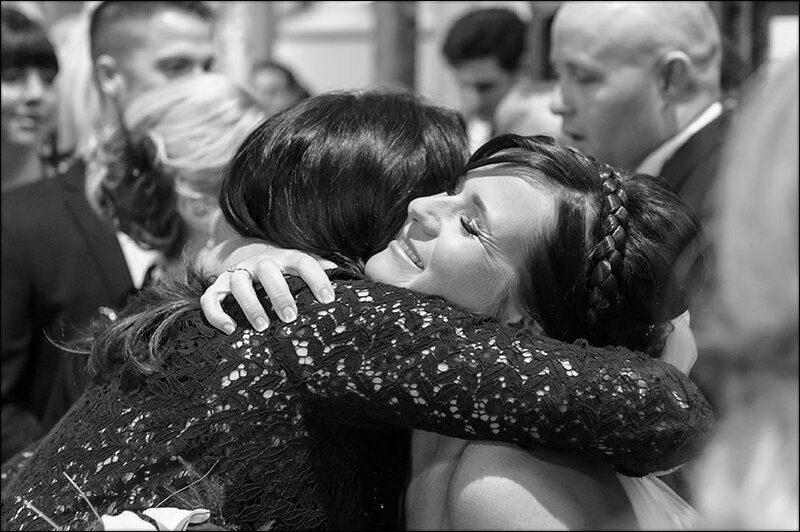 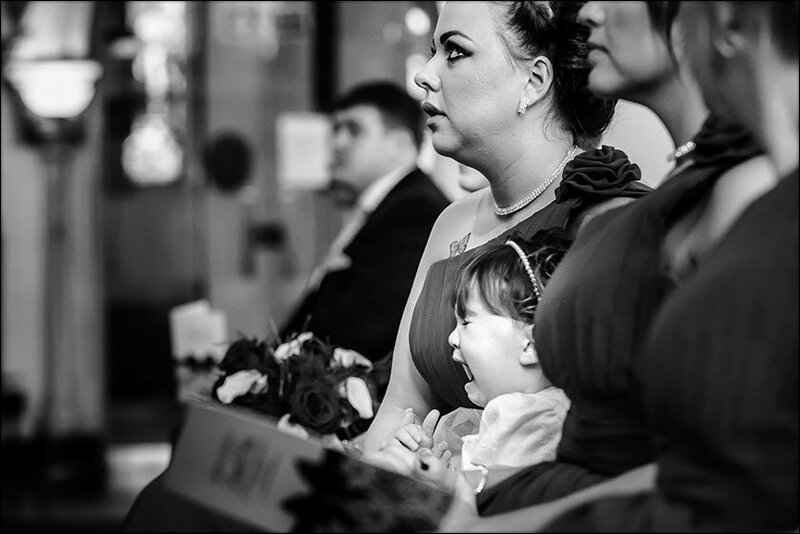 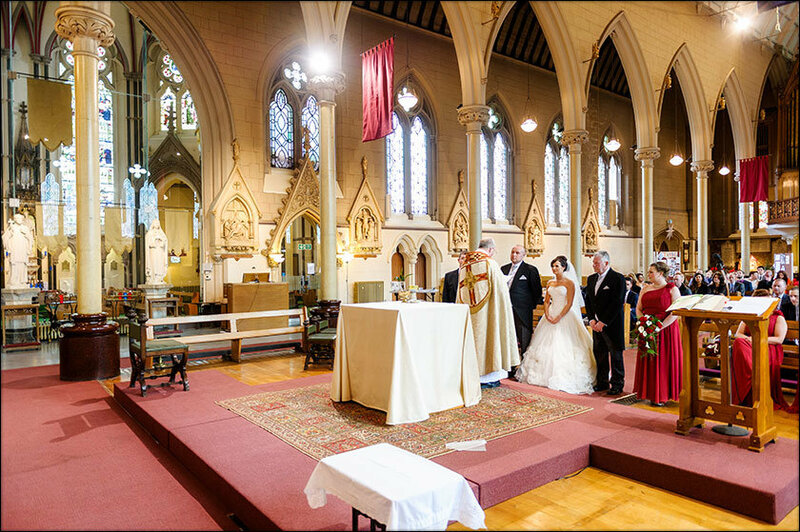 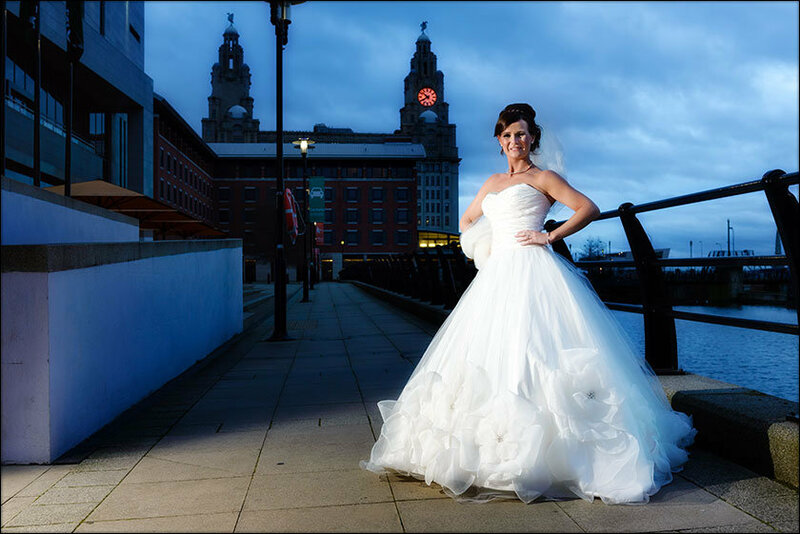 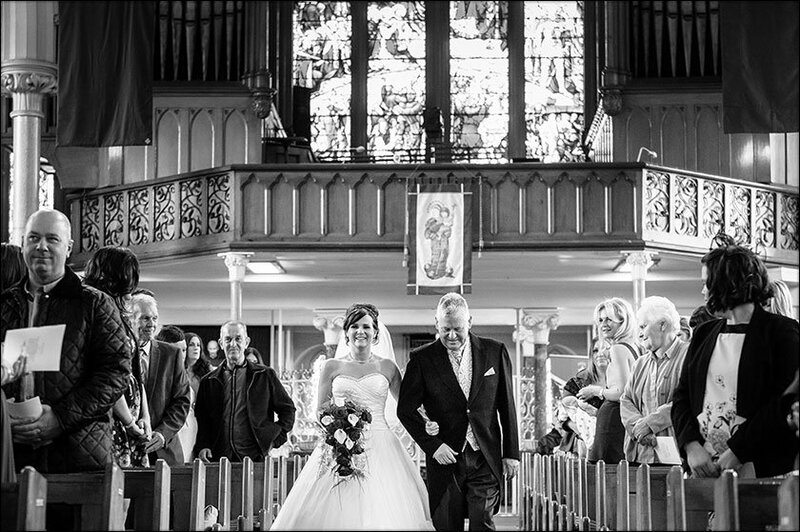 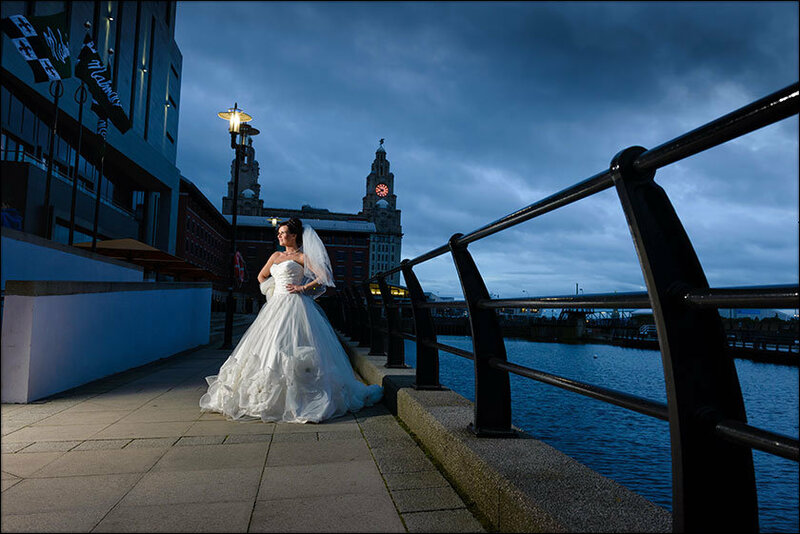 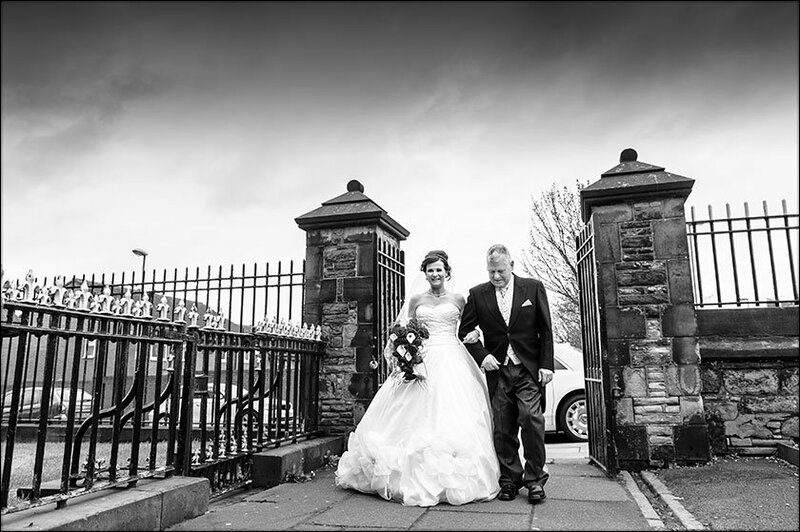 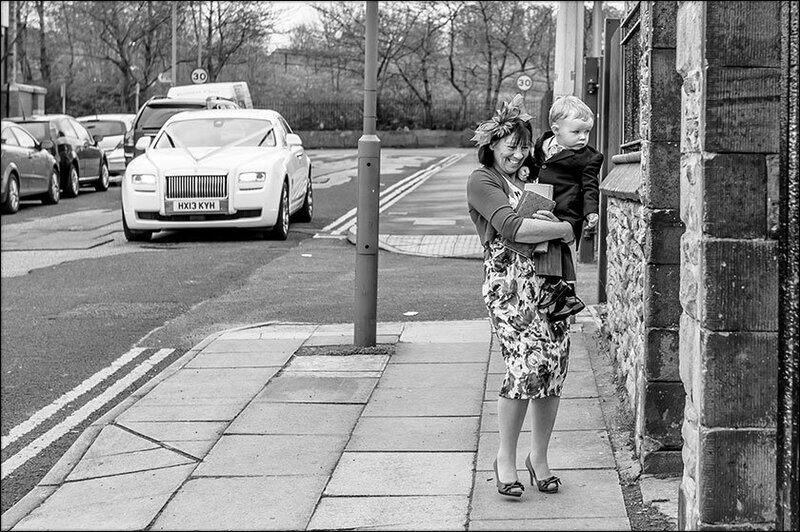 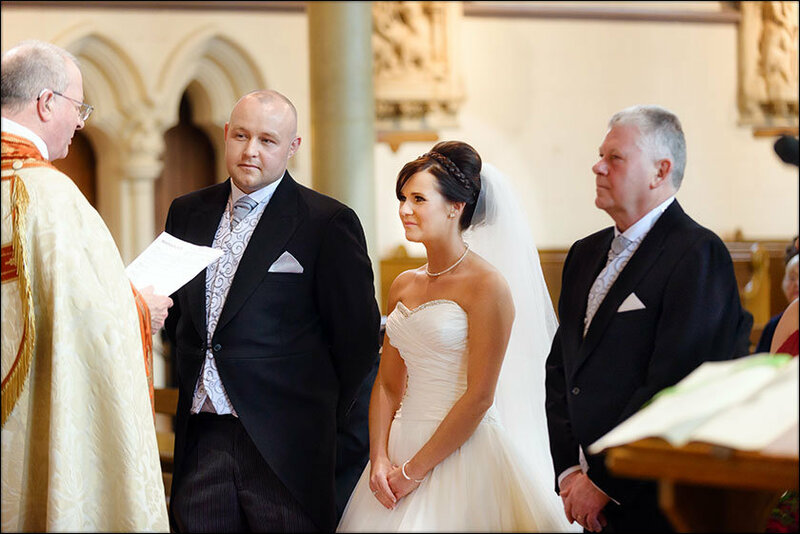 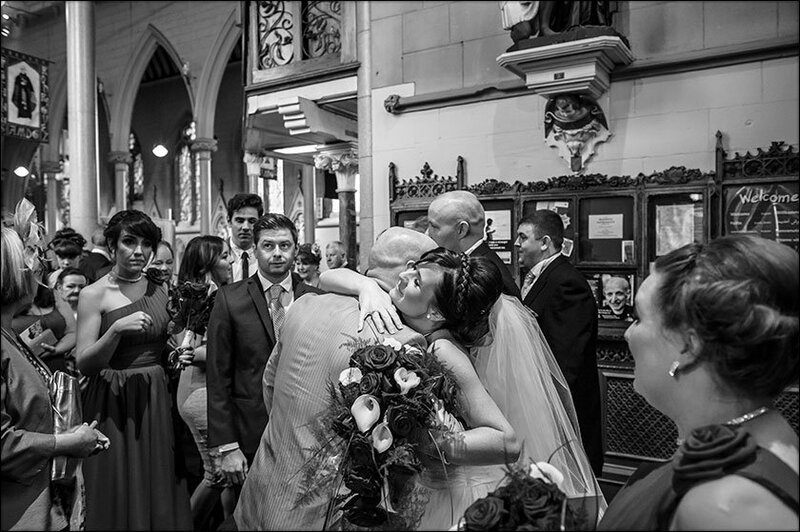 By Rob Sanderson, premier Liverpool wedding photographer.